As marketing, commerce, and customer service continue to shift to digital channels — and as an increasingly greater share of an organization's revenue comes from digital business — organizations have become acutely aware of the need for an enterprise digital experience platform. Such a platform enables them to quickly and cost effectively create, manage, and deliver cross-channel, cross-device digital experiences to their various constituents; measure the effectiveness of the experiences; and optimize the experiences based on analytical insights. 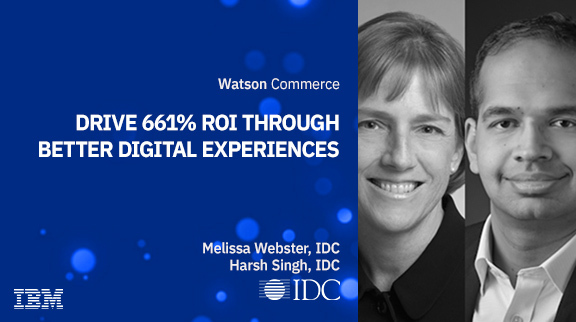 As IDC's research has shown, organizations that use IBM Digital Experience have realized significant business benefits, including increased revenue and quicker time to market, reduced costs and improved staff productivity, and increased customer and employee engagement.